Click here for more pictures and find out more about the MG TA. MG TA History – Launched in 1936 the TA Midget was the first of the T-series cars, a model line that would span five generations, survive a World War and make America fall in love with the sports car. The MG TA was launched in 1936, as the replacement for the much-admired PB. Visually, the TA and its predecessor, the PB, are very similar but under the skin mechanical changes improved the TA in a number of key areas. The TA was roomier than the PB, 3-inches wider and 7-inches longer in the wheelbase. Metal on a wood-ash frame bodywork was offered in 3 styles, 2 seat convertible (as in the picture above), fixed-head ‘Airline’ Coupe and Tickford coupe (both of which are extremely rare today). The suspension was still traditional leaf springs front and rear, but the brakes were now hydraulically operated. Also, there was now synchromesh on the top two, of the TA’s 4-speed manual gearbox, both firsts for MG.
MG made a record loss in 1935 and in an effort to save cash, the PB’s expensive overhead cam engine was been replaced by the Morris 10’s 1.3-litre pushrod. In MG tune, fitted with twin SU carburetors, power lifted to 50bhp, enough to propel the 801kg TA to 75mph. At the time, replacing the beloved ohc engine caused a bit of a ruckus amongst MG enthusiasts. Despite concerns, the TA’s mechanical changes made it easier to drive than its predecessors and this opened TA, and sports car, ownership to a wider audience. 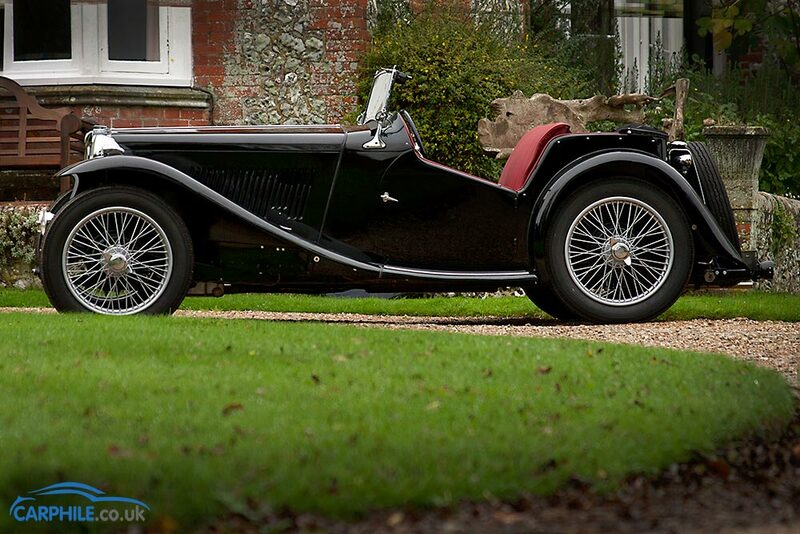 The TA was a popular car for MG, they sold 3,003 before it was replaced by the MG TB in 1939. For perhaps the first-time, the MG TA made sports car ownership less of a compromise and helped open up the genre to a new audience, paving the way for a new wave of sports car fans and fuelling the British sports car boom of the nineteen sixties that would include not only MG but Austin-Healey, Triumph and Jaguar. These cars are genuinely as charming today as they ever were and deservedly as popular with MG and classic car enthusiasts today as they ever were.